2. 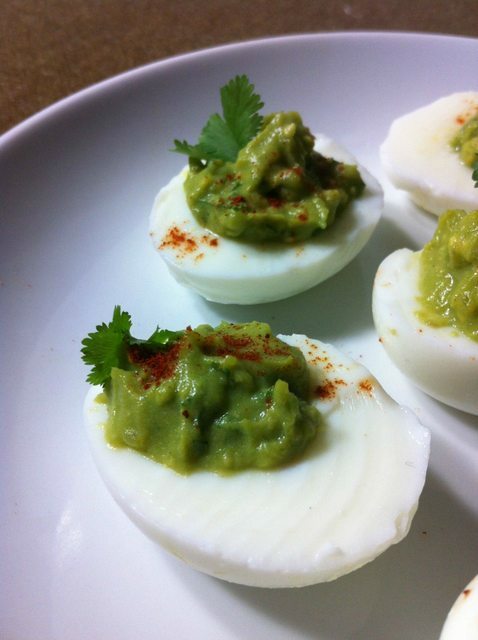 Slice your hard boiled eggs in half vertically. 3. Scoop out the solid yolk and dump it in a medium sized bowl. 4. 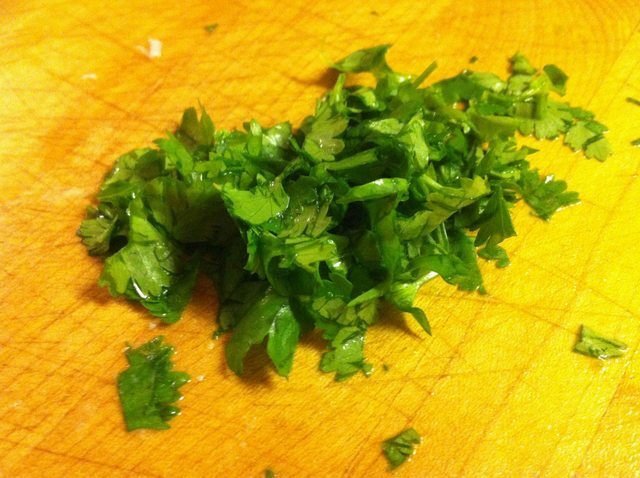 Chop up your cilantro and add to bowl. 5. Cut up your avocado and put half of it in the bowl. 6. 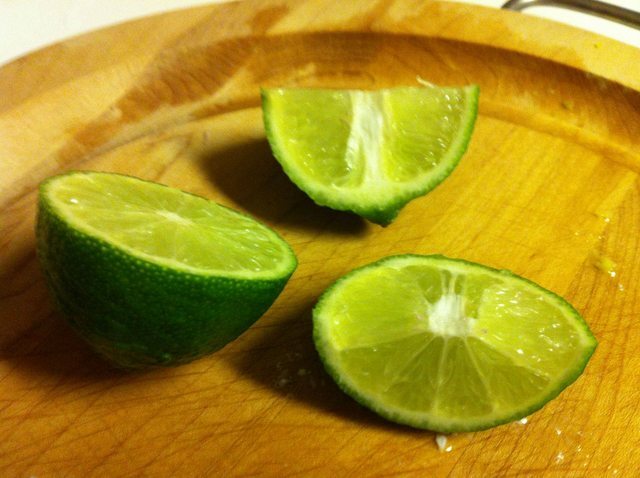 Add your salt, pepper, and lime juice (optional) to the bowl. 7. Now mash it all together. I use a masher for this, and it works great! 8. 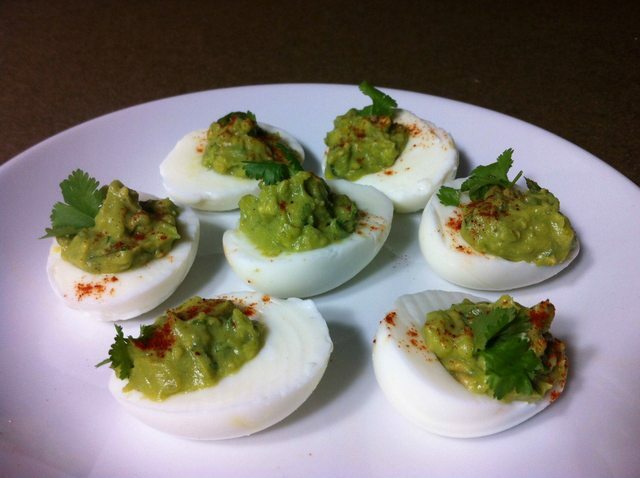 Scoop out the mashed deviled eggs mixture in to egg’s holes. 9. Add a dash of paprika (or not, it’s optional!) and maybe small cilantro leaves for garnish, and you’re done! 1. 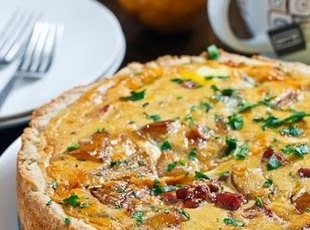 Cook the bacon and shallot in a pan. 2. Add the butter and let it melt. 3. Add the sugar and cook until bubbly, about 3 minutes. 4. Add the pear and saute until tender, about 3-5 minutes. 5. Mix the pears, eggs, half and half, thyme and gorgonzola and pour it into the pre-baked pie crust. 6. Bake in a preheated 375F oven until golden brown on top and set in the center, about 25-45 minutes. 1. Pulse the flour, ground almonds, salt and sugar in a food processor to mix. 2. Add the butter and pulse until the mixture resembles a coarse meal, about 6-8 times. 3. Add a tablespoon of water at a time pulsing in between until it starts to clump together. 4. Place the dough on a clean surface and shape it into a disc. 5. Wrap the dough in plastic and refrigerate for at least an hour. 6. Roll the dough into a 12 inch circle about 1/8 of an inch thick on a lightly floured surface. 7. Place the dough into a 9 inch diameter spring form pan with the edges going up the side of the pan. 8. Place a piece of parchment paper in the pie and fill it with rice or beans to hold it down. 9. Bake in a preheated 350F oven for 15 minutes. 10. Remove the parchment paper and weight and poke the bottom of the crust with a fork a few times. 11. Bake until a light golden brown, about 10 minutes. 1. In a food processor, pulse to mince garlic. Add everything but the nut pulp and blend until creamy. 2. With the motor running, slowly add the nut pulp a few spoonfuls at a time until you have everything well blended. If desired, add more water, one tablespoon at a time, until the desired consistency is reached. • Freezing is the easiest and fastest way to carry on with your day and forget about the pulp, but you will have to take the time to defrost it prior to using it in your recipes. Put it in a plastic zipper bag, or any sealed container — of course glass is always better when freezing food. • Dehydrating the pulp is the basis for making almond flour, which will give a finer texture to your preparations. Just spread the pulp as evenly and thinly as you feel like over a teflex dehydrator sheet or baking tray & let it become completely dry. Then pulverize it in the blender and keep in a sealed container. If you know you are going to use the nut pulp for Hummus, I would suggest using less dates or make an unsweetened almond milk. 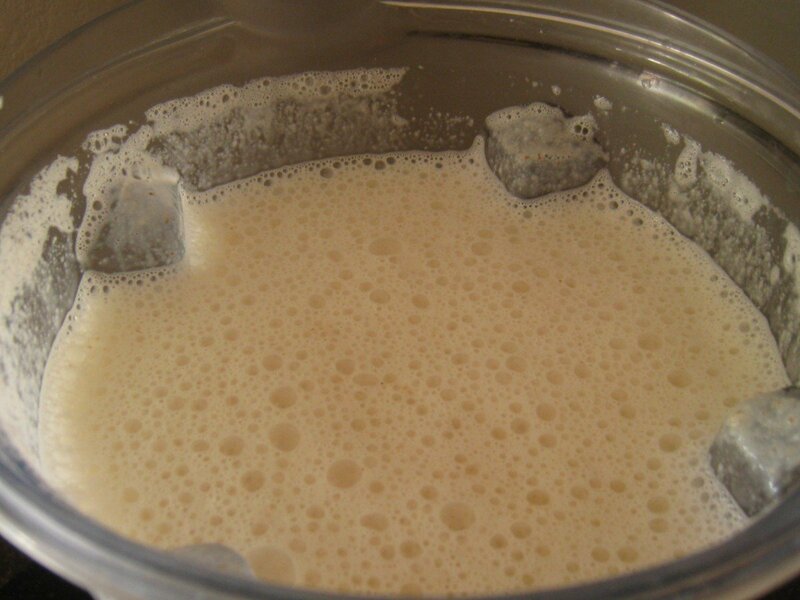 But you know what I love more…homemade almond milk. You can absolutely drive out to your local store and buy almond milk – but once you’ve had it fresh, the rich taste will keep you coming back for more! And guess what? It’s super easy to make. -4 cups pure, filtered water, or coconut water. 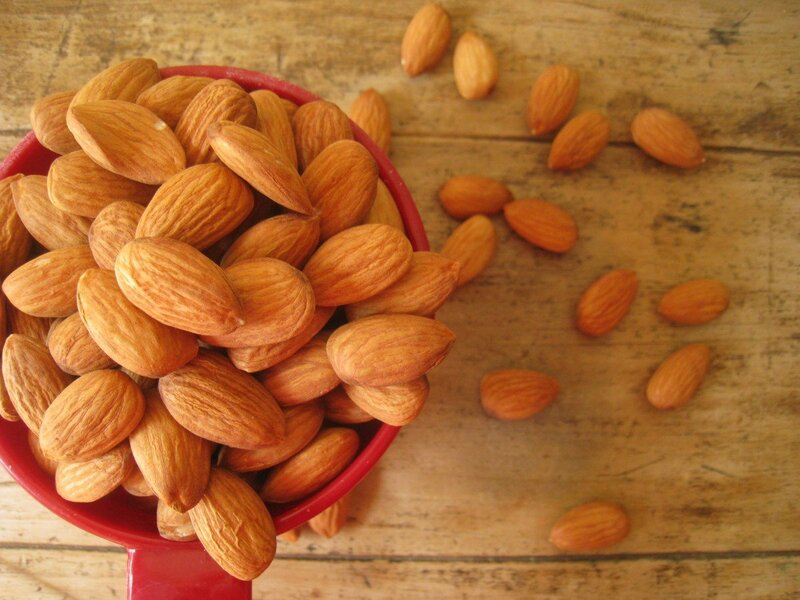 1.Allow the almonds to soak covered in pure, filtered water for up to 48 hours in the refrigerator. Overnight will do, if you’re in a pinch. But, I like to give mine a good couple of days. 2. 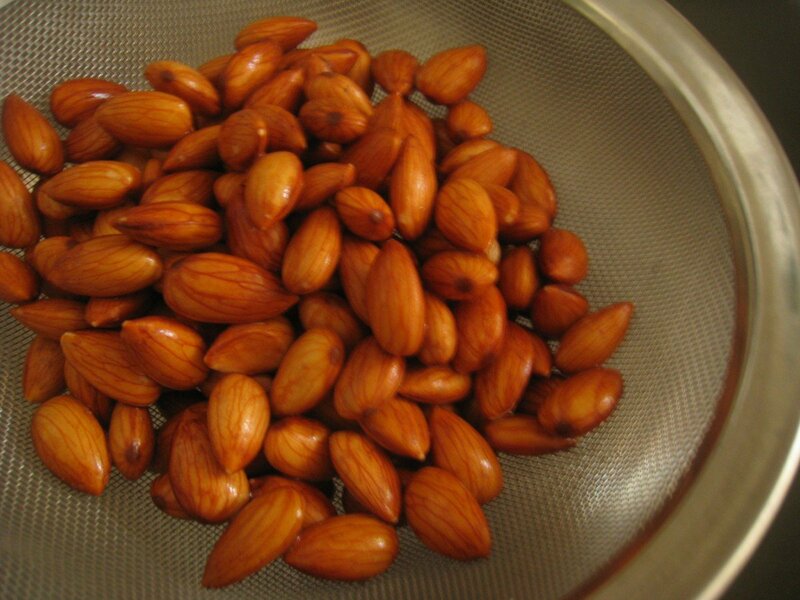 After soaking, strain the soaked almonds and toss the soaking water. 3. Place your almonds, four cups of pure, filtered water or coconut water, and any optional add-ins in a high-speed blender — and blend on high until the mixture becomes frothy…approximately 1-2 minutes. 4. 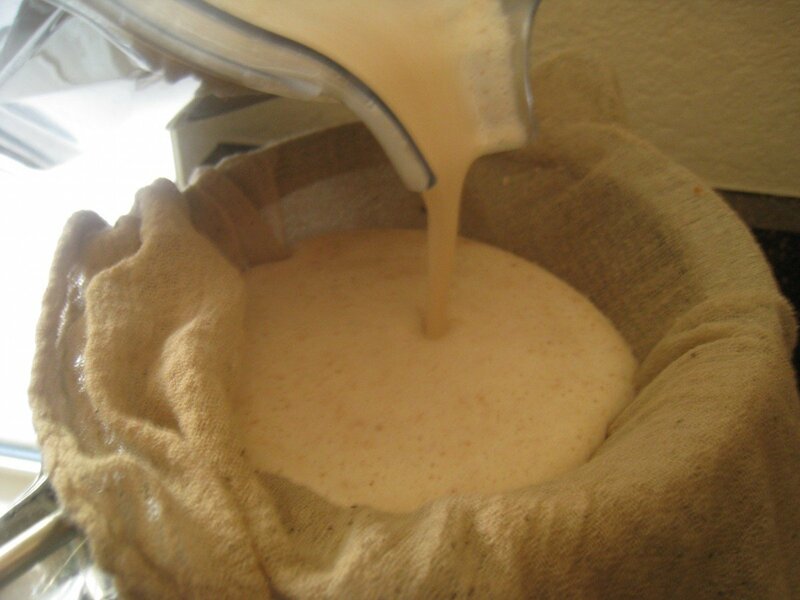 Pour the contents of the blender through a cheese cloth lined strainer — or if you have one, a nut milk bag — into a 1 quart glass canning jar. Squeeze to extract all the goodness of the almond meal. 5. Store the milk in the refrigerator. It should keep for up to 3 days. Shake the jar prior to use. I don’t like the idea of wasting all of that almond meal/pulp. 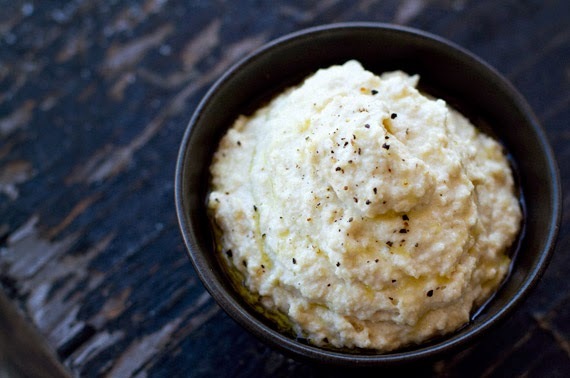 Now granted, most of the nutrients are gone into the milk, but I still find it useful for recipes like Hummus…yum! Or you could dehydrate them for use as a coating for chicken and fish. Perhaps make almond butter. What about using them as a body or facial scrub? The possibilities are endless really! I have always wanted to make salsa, but thought it to difficult. This salsa was perfect, and a wonderful compliment to the Crispy Smashed Chicken. Place an over rack about 4-6 inches below a very hot broiler. Place the tomatoes on the baking sheet, and roast under the broiler for about 5 minutes. Using tongs, flip them over and roast for another 5 minutes or so. When they are done the skins should be blackened and peeling off. The pepper will probably be done first- take them out as soon as they are done. When the garlic and peppers are cool enough to handle, peel the garlic and remove the stems from the peppers. In a food processor, add the peppers garlic and salt and grind them up. It was an AMAZING night for food last night. I am day 3 into my Whole30 journey and I have felt the need to get creative with my cooking so I didn't feel like I was missing out on anything. Well This meal left me truly satisfied. 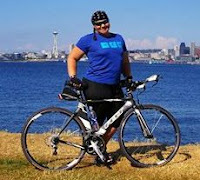 Hulk it out and smash the breasts with a meat pounder, rolling pin or small cast iron skillet until the chicken is uniformly flattened into half inch thick paillards. Don't overcrowd the skillet, if your chicken pieced are too big, fry them up in separate batches. 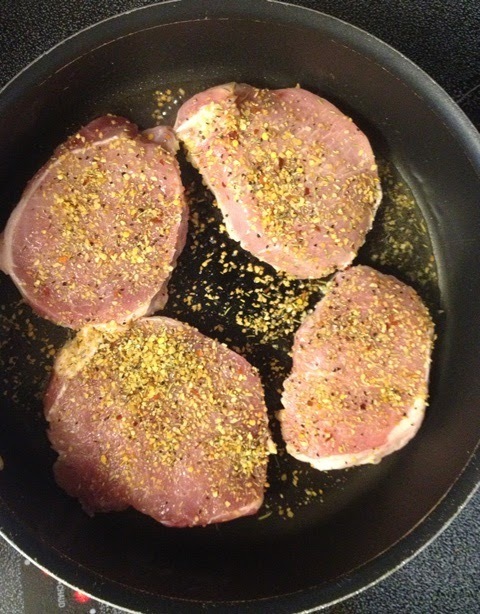 Flip the breast over and cook the other side for another 3-4 minutes or until the exterior is crisp and golden brown. Serve it with your favorite sauce, This chicken is fantastic with lime wedges and spicy salsa. I was surprised at how easy this recipe was. Now that my body thinks it is fall, I am craving hearty stick to your ribs food. I am not quite ready to break out the crock-pot, but definitely looking for something more than a salad. This recipe has great flavor and the added bonus of a quick weeknight meal. Heat 2 tablespoons of coconut oil in a frying pan over medium heat. 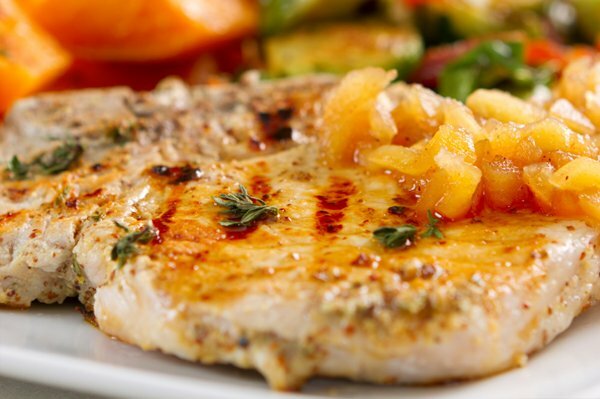 Cook pork chops in coconut oil and cook for 5 minutes on every side until brown. Stir in the onion, apple slices and honey. Cook until the onions have caramelized and the apples turn soft. Stir in broth. 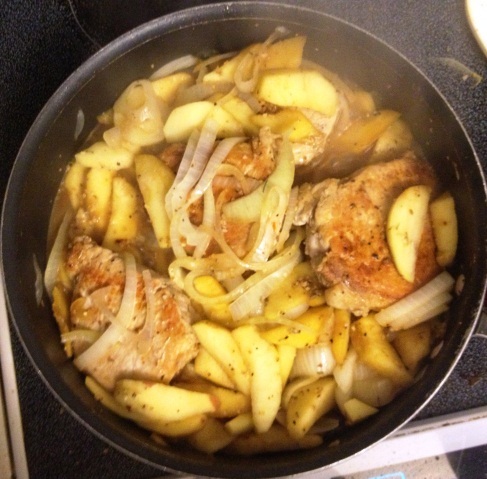 Pour the apple and onion mixture over the pork chops as topping. Living a Paleo lifestyle can be difficult in a house of foodies. 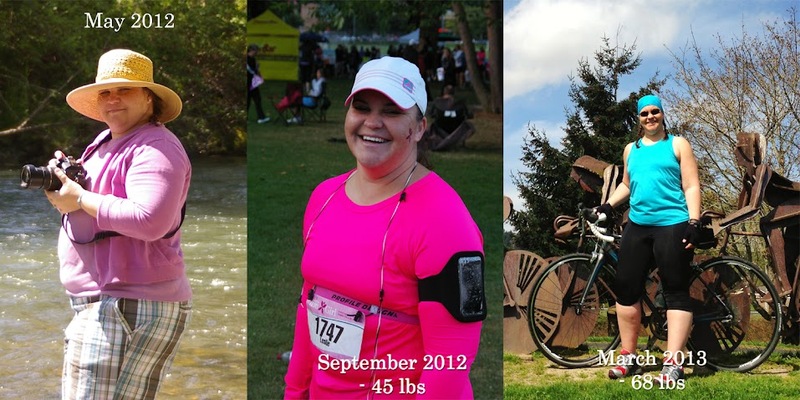 I have felt that lately I have been living a faileo lifestyle when it came to my diet. Being in off season means that I need to pay attention to my diet more than ever. My goal this week was to find recipes that my family would enjoy and leave them feeling satisfied. This is one of my new favorites. Heat stove to Medium High. In a large mixing bowl combine 2 TBS of the olive oil with the shallots, garlic, onion, pepper, thyme, and sage. Mix well. 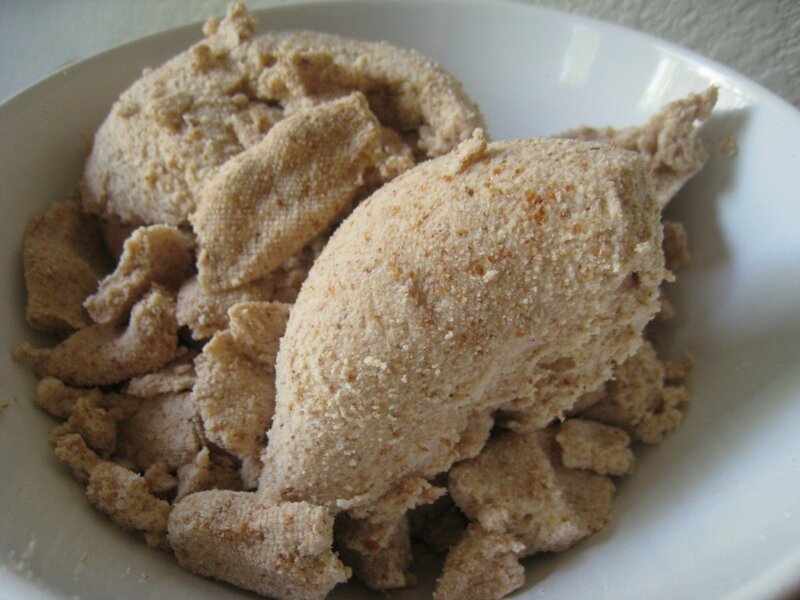 Slice chicken into thin chunks and add to mixture. Combine well and allow to marinate for 10-15 minutes while you snap the asparagus spears. In a large saute’ pan heat the remaining 2 TBS of olive oil and brown and saute’ the chicken mixture over medium heat until chicken is cooked. Remove chicken from the pan and set aside. Return saute’ pan to the stove and add the quartered mushrooms. Saute’ for 5 minutes over medium heat, stirring often. With mushrooms still in pan, increase heat to medium high and deglaze with the marsala wine. With wire whisk, tongs, or spoon, remove browned bits from the bottom of the saute’ pan and stir them into the marsala sauce. Add chicken stock and heat sauce to a simmer. Simmer the sauce for 10 minutes to reduce. Steam your asparagus. After 10 minutes, add the all purpose flour to the sauce to thicken it. Add chicken to the sauce. 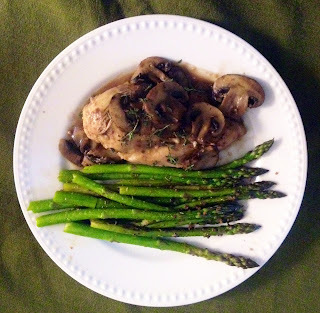 Combine and coat the chicken with the sauce and in a large decorative serving bowl, serve it over the steamed asparagus. Enjoy! A versatile recipe for all your gluten-free baking needs. I use it for pancakes, waffles, cakes, cookies, scones, biscuits, and quick breads. When choosing which flour combination to use, consider that sorghum will give you the lightest result in baking. Millet and amaranth will give you a heavier result. For cakes and cookies, I recommend using sorghum. For breads, scones, and biscuits, millet or amaranth are good choices. Most of these flours are available at any heath food store or online. Gluten free products are becoming more and more available, which is great! I really love Bob's Red Mill gluten free flours. They are all wonderful! Now once I mix up my flour blend, I use it up pretty quickly so I store it in an airtight container in the pantry. Store in the refrigerator for long term storage. Any recipes that call for flour will use this mix unless specified.